Valet services are offered through The Ritz-Carlton, Denver. 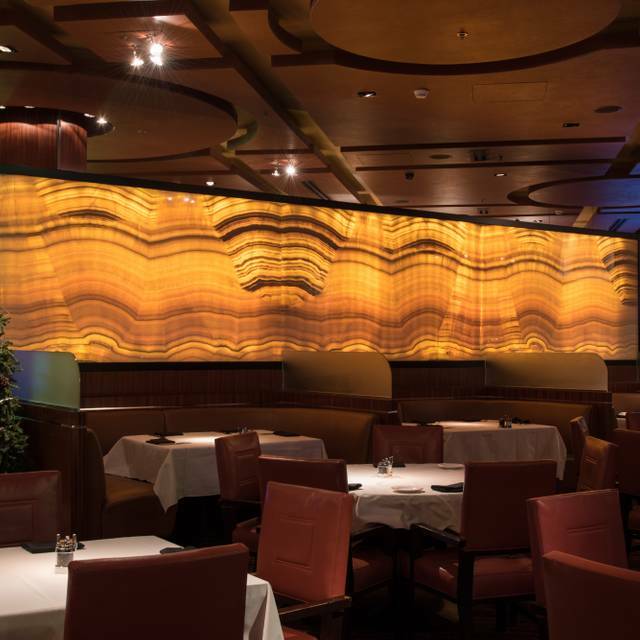 All guests of ELWAY'S Downtown receive complimentary valet parking. ELWAY'S Downtown is located within walking distance to multiple bus and light rail stops. We are happy to assist in offering directions. Live music every Wednesday night from 5pm - 8pm on the patio. 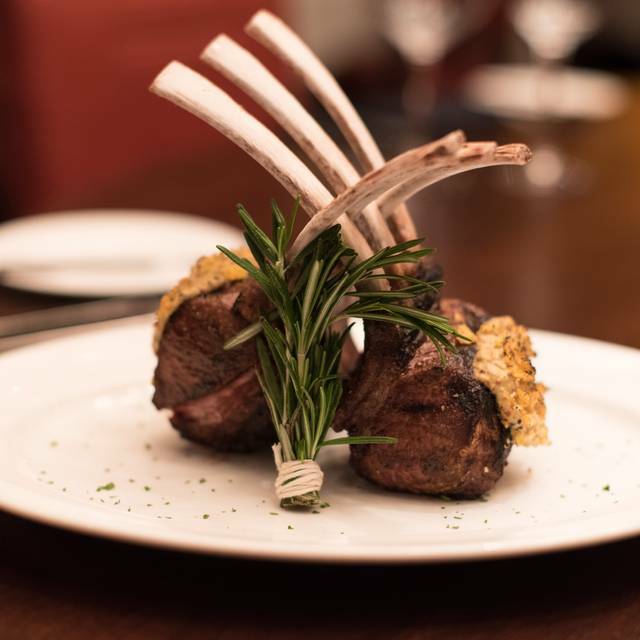 ELWAY'S Downtown offers 100% USDA Prime steaks, hand-cut on the premises, an award-winning wine selection and a comfortable, memorable and attentive dining experience. 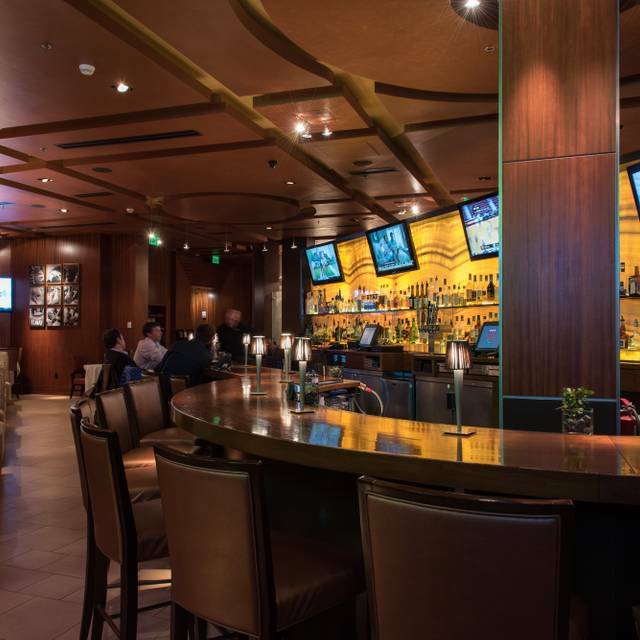 Enjoy the NFL Sunday ticket in our bar and lounge. 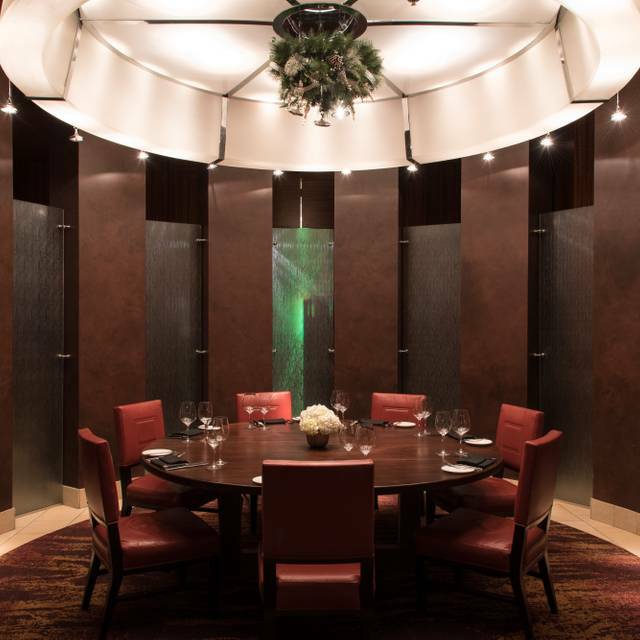 We offer multiple private dining options to accommodate 6 to 50 people, ELWAY'S Downtown is the perfect setting for any occasion. The buffet was good, but a bit pricey. I ordered a Bellini and I was brought a Mamosa. When I sent it back, I was told the reason they didn't bring a Bellini was because they were out of peach nectar. I ordered a Bloody Mary and the mix was watered down tomato juice with overkill on the worchestershire. Definitely need improvements on mixology and understanding that a customer knows what they drink. Fantastic food, service was top notch, cocktails were mixed to perfection. Best Prime Rib I have ever had! For the prices you would expect great food and service. However, that is not what my wife and I experienced. Our waitresses recommendation of the bone-in NY strip turned out to be somewhat tough with the flavor and the cook being just ok. My wife ordered a baked potato and John's salad, and she ending up sending the salad back as the lettuce was wilted with way to much dressing. Even the au gratin potatoes, which seem to have a great review, were not what I expected with way to much onion in the potatoes. Overall, our experience was disappointing. And to top it off, the next morning we decided to try the restaurant again for breakfast, as it seemed to have good reviews only to end up with a rubbery hard omelet with lightly toasted toast that had no butter on it. Needless to say I doubt we would go back. 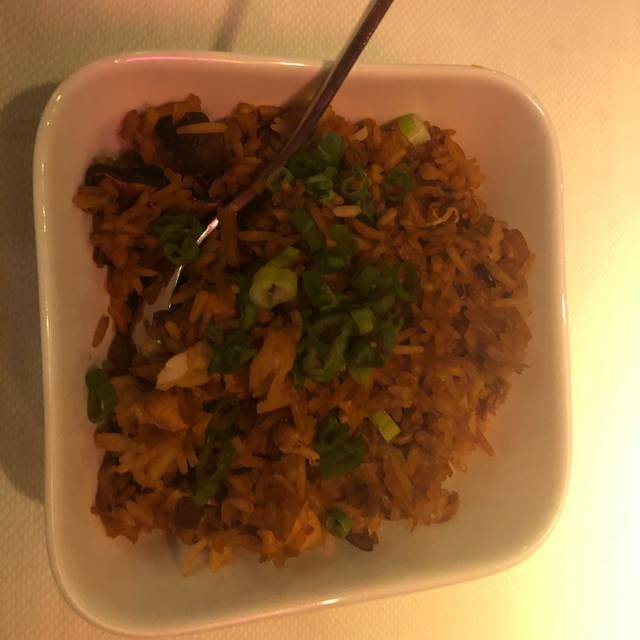 Great service and great food! Will be back! One of the best steaks I have ever had. The waiter knew his stuff, too; recommended a great bottle of wine. 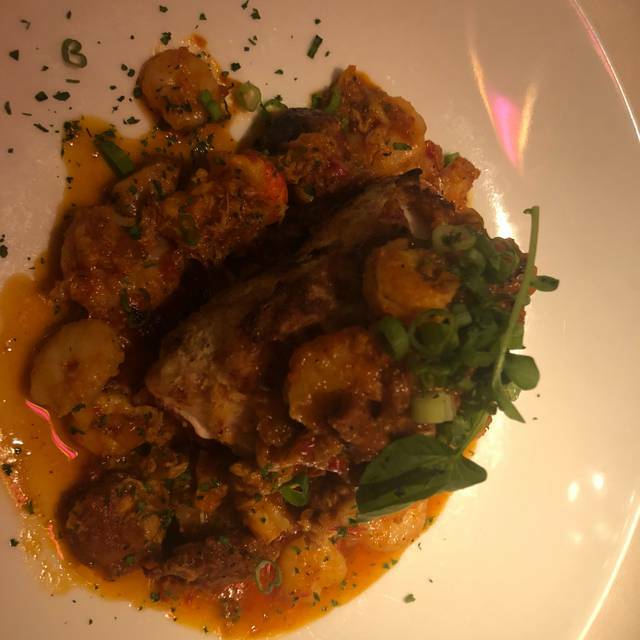 Great meal and good service at an upscale location. Wonderful!!! Scott was terrific and Monica recommended a great wine!! The steaks were amazing and the service was spot on. I had stated on my reservation that I needed vegan options. The chef prepared me a full 3 course dinner. It was excellent! A must for dinner when in Denver. I highly recommend. I’ll definitely return when I visit the area again. Thank You, so much! Great visit, as always! Our server was awesome and the steaks were cooked to perfection. Can’t wait to return! The food was good but overpriced. The chocolate caramel cake was awesome. We had a wonderful meal for our parents' anniversary. The staff were so wonderful and attentive. Nothing special. We wouldn’t go back Capital Grill and Guard and Grace blow this place away! Great food, service and atmosphere. Slightly noisy. Food and ambiance is amazing! Food was great! I had the calamari and drinks were my favorites! The atmosphere was also great. We will go back when we’re in town again. We hosted a Sunday birthday brunch for a friend and everything was great. 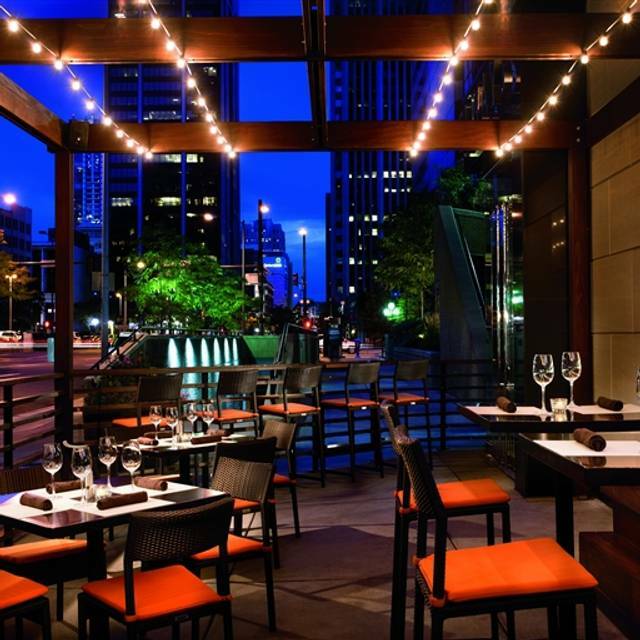 We always like Downtown Elways for special events and often make a whole night/weekend of staying at the Ritz Carlton to enjoy properly. We were lucky enough to get the large round table in their wine area-but overhead light was very, VERY bright and harsh, especially for 8 hungover people. However, they figured out how to dim it, and we were so grateful. Everybody's breakfast/lunch was delicious. My burger was a bit to undercooked, and they threw it back on the grill once the waitress noticed I wasnt liking the rawness so much. Anyway, great service and tasty food! We took some friends to Elway's. 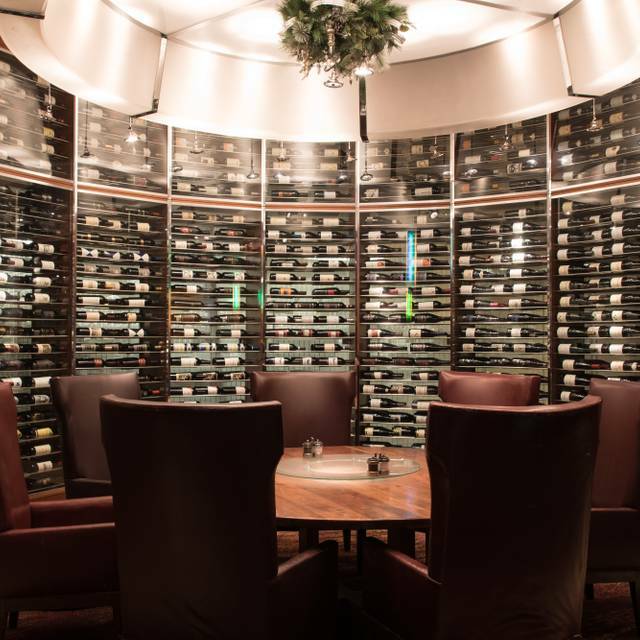 They are newer to the area and hadn't eaten at a really good steak house, yet, in Denver. We have never been disappointed in Elway's, in the past. The steaks were still very good, this time. We also had oysters on the half-shell that were good. However, we had the potatoes au gratin and they were over salted, the mac and cheese was maybe a bit overcooked and the Brussels sprout has was not nearly as good as others we have had. The asparagus was fine, but it is hard to mess up. The food was delicious, our server Tommy was gracious and knowledgable. Wonderful experience. My husband and I were stuck in Colorado during the bomb cyclone for 4 1/2 extra days. During our extended stay we also celebrated a wedding anniversary. With no prior knowledge we selected Elway’s for our dinner. Beginning to end, this was an exceptional experience. Our waitress Vanessa, Monica the somalier, food, and attention to our every need was a exceptional! What a wonderful night, thank you Elway’s for a night to remember. I used to believe the Cherry Creek Grill has the best prime rib sandwich, that changed today! Service was excellent and Daniel was a very nice man. Service was phenomenal. Steaks were sub expatations. Malos terminos de la carne. La regresamos y trajeron otro mal termino. Without a great server this experience would have been very poor. I will not be returning to Elway's, The cost on the "house" Merlot bottle was $120 - shame on me for not checking but I am not use to that. They were out of the bone in filet luckily the bone in rib-eye was pretty good, besides that the food was about the quality you get at Applebees, the asparagus in particular. Don't miss this great steakhouse if you go to Denver. The Porterhouse for two is sublime. The ambiance is wonderful, as is the service. This is one of my favorite restaurants in the county. We had the filet and they were cooked to perfection!!! We stayed a long time and the wait staff was attentive without hovering. It was a nice evening. Amazing ambience, complimentary valet parking, and lovely service. I got the 8-oz filet, rare. Was just sliightly overcooked, but the cut was incredible. Ordered asparagus for a side- sides are massive, my SO and I couldn't finish the one side. Had 1/2 dozen east coast oysters for an appetizer, and the cheesecake for dessert. Highly recommend for an evening out! 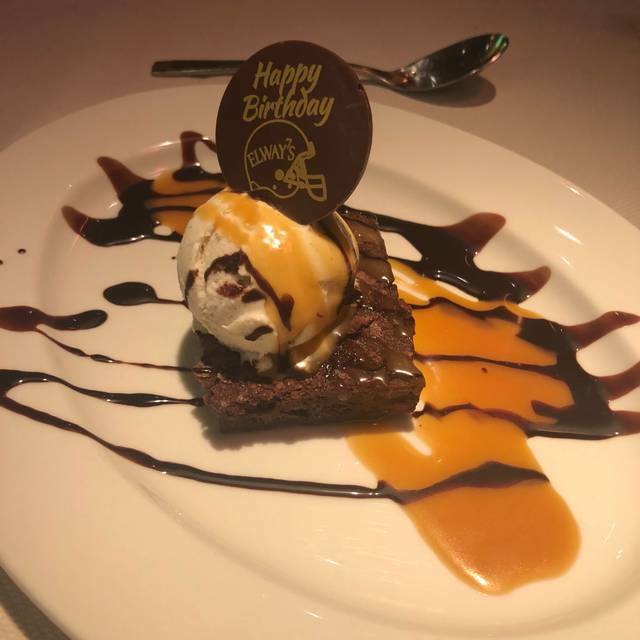 The food and our waiter were spectacular! We can’t wait to go back. Elways is overated. My steak was so charred it had no flavor. The service and atmosphere were great but I would not go there again. Excellent steaks and great service. The servers were very attentive and appetizers were delicious as well. Food and service were fantastic!!! The service people were excellent. However, we had 6 people for brunch and several of our entrees were cold. Brunch menu was limited and way too expensive. Though the stuffed French toast was excellent beyond words!